Are you unhappy with the flabby and droopy appearance of your thighs? Have you lost a significant amount of weight only to notice that your thigh skin just hangs off your body? Has diet and exercise failed to tone your upper legs? Do you avoid wearing shorts and bathing suits in order to hide your thighs? If your answer to any of these questions is yes, then you may be a candidate for a thigh lift with Munster, IN board certified Plastic Surgeon Doctor Jason Petrungaro. A thigh lift removes excess skin and fat accumulations from the inner thigh and tightens the underlying tissue. This reshapes the thighs and smoothes the skin, resulting in more slender and proportioned contours of the thighs. A thigh lift isn’t necessary if a patient has good skin elasticity and the only goal is the removal of fat from the thighs. The best option in this case may be liposuction alone. With good skin elasticity the thigh can conform to its new and reduced size after the fat has been removed. Who is a candidate for thigh lift surgery? Anyone who is displeased with the appearance of their thighs due to loose, hanging skin and fat may be a candidate for a thigh lift. A thigh lift is typically done under general anesthesia. The majority of patients will go home the same day. The procedure itself will take between 2-3 hours to complete. Prior to entering the operating room, Doctor Petrungaro will place marks on your thighs using a skin pen in order to outline the skin and fat to be removed. Incision length and pattern are customized to each individual patient depending on the amount and location of excess skin and fat to be removed. The incision for an extended thigh lift will typically extend from the groin to just above the inside of the knee. For those patients with significant fat deposits in the thighs, Doctor Petrungaro will often perform liposuction of this area to accentuate a slender thigh profile. Some patients needing a smaller amount of skin removal may be candidates for a minimal incision technique that involves an incision only in the groin area. Once the skin is elevated off the inside of the thighs, it is surgically excised and the underlying tissues are tightened and reshaped as needed with internal stitches. At this point a small drain is typically placed in the surgical wound of each thigh in order to allow any fluid buildup to exit the wounds in the postoperative period. The drains are removed in the office in about 1 week. The skin is then closed using absorbable stitches that are deep to the skin. At the conclusion of the procedure, your thighs will be wrapped with gauze and ACE wraps to help reduce postoperative swelling. If the outer thighs are to be addressed, the incision will extend from the groin around the outer hip to allow the outer thigh tissue to be lifted upwards. Are you a Chicago resident seeking a thigh lift? Thigh lift recovery is very straightforward. Pain is very well controlled using oral prescription pain medications. You will see Doctor Petrungaro in the clinic 1-2 days after your surgery and then every 1-2 weeks after that to make sure that you are doing well and that your wounds are healing nicely. Full recovery from a thigh lift takes 6 weeks. As mentioned, the drains will be removed in the clinic in about 1 week. You will need to take one week off from work to rest comfortably in your home, and it is important to have family or friends available that can help you with basic tasks such as sitting, standing, and laying down for the first week. Swelling and bruising are to be expected but will begin to resolve after the first 2 weeks. On your first postoperative visit, you will be transitioned into a compression garment for the thighs that you will wear for at least one month to help reduce swelling. For the first few days you can elect to have sponge baths, but if you would like to shower it is allowed after 24 hours. All strenuous activity (contact sports, yoga, etc.) is restricted for 6 weeks. You will see immediate changes in the profile of your thighs, and they will continue to improve as swelling decreases in the first few months. Your new shape will continue to improve and your surgical scars will fade during the year following your surgery. It is important to adopt and maintain a healthy diet and lifestyle to insure that your results will last and that you love your new look for years to come. A thigh lift is an extremely gratifying Plastic Surgery procedure, and nearly all patients are ecstatic with their results after surgery. Why choose thigh lift surgeon Doctor Jason Petrungaro? 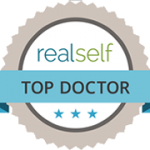 Doctor Petrungaro is a board certified Plastic Surgeon who has successfully completed many years of surgical training in all aspects of body contouring surgery. He is well versed in the established traditional methods as well as the latest and most innovative techniques in thigh lift surgery. He listens to his patients and respects their goals and wishes, and will always go the extra mile to deliver the most beautiful results possible. 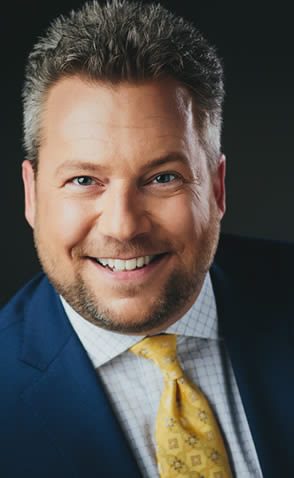 If you are searching for a Plastic Surgeon who can provide you with powerful results from your thigh lift coupled with the highest standards of patient safety and care, NW Indiana and Chicago thigh lift surgeon Doctor Jason Petrungaro will be happy to consult with you regarding this life-changing procedure. Visit with Doctor Petrungaro in our Munster office for an hour — you will leave knowing you have found the perfect partner in your quest to achieve slender, well-toned thighs! If you are interested in a thigh lift and have questions or concerns, please feel free to call Doctor Jason Petrungaro at (219) 836-1163 or click to schedule a consultation online. Dr. P is without a doubt the most caring, talented, and sincere doctor I have ever met. His #1 priority is YOU. I absolutely recommend him to anyone! I chose Dr. Petrangaro because of his warm demeanor. He’s easy to talk to. Looking at the results photos online was reassuring too. He took the time to answer all my questions. The Best.